New and traditional live music accompanying B&W silent films from Ukraine and Russia, 1910-1927. Merlin & Polina Shepherd perform together in a way that is rarely encountered. Playing Music from several linked cultures and maintaining the styles, they also incorporate improvisation, freedom and spontaneity. 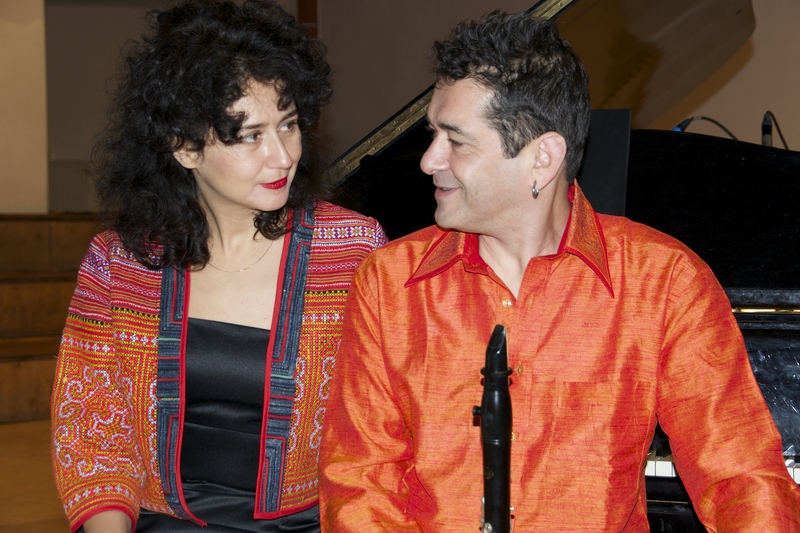 Сlarinetist, composer Merlin Shepherd, a uniquely innovative force in the klezmer renaissance, and Polina Shepherd, a virtuosic vocalist, pianist, composer originally from Siberia blend traditional and newly composed Yiddish and Russian song with klezmer and southern Mediterranean music. Full of passion, depth & subtlety not often encountered in our global village, their style which has its roots in traditional forms takes us to new dimensions.